Width - 5" Width - 6" Width - 7" Width - 8" Width - 9" Width - 10" Width - 11" Width - 12" Width - 13" Width - 14" Width - 15" Width - 16" Width - 17" Width - 18" Width - 19" Width - 20" Width - 21" Width - 22" Width - 23" Width - 24" Width - 25" Width - 26" Width - 27" Width - 28" Width - 29" Width - 30" Width - 31" Width - 32" Width - 33" Width - 34" Width - 35" Width - 36"
None 1/8" 1/4" 3/8" 1/2" 5/8" 3/4" 7/8"
Height - 5" Height - 6" Height - 7" Height - 8" Height - 9" Height - 10" Height - 11" Height - 12" Height - 13" Height - 14" Height - 15" Height - 16" Height - 17" Height - 18" Height - 19" Height - 20" Height - 21" Height - 22" Height - 23" Height - 24" Height - 25" Height - 26" Height - 27" Height - 28" Height - 29" Height - 30" Height - 31" Height - 32" Height - 33" Height - 34" Height - 35" Height - 36"
None 1/8 1/4 3/8" 1/2" 5/8" 3/4" 7/8"
Do you need a framing supply kit ? Add a Plexiglass & Foam backing ? Custom Order requires additional 3 to 5 delivery days. 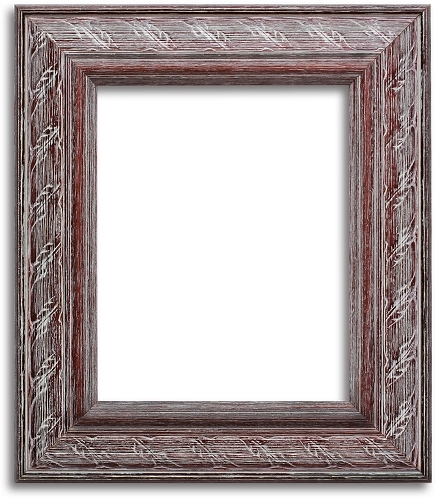 This attractive wooden decorative picture frame features a weathered white wash on a broad, ridged solid wood frame in brown. 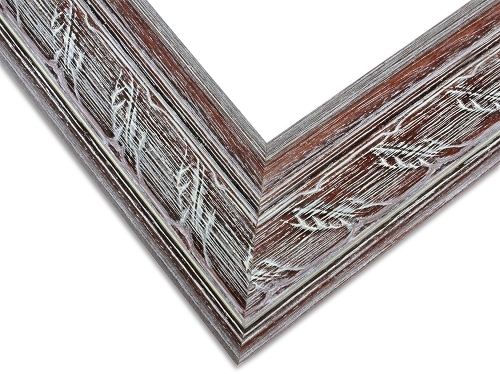 The white wash brings out the natural grain and unique characteristics of each piece of wood. 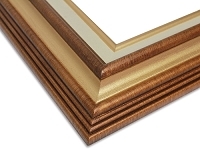 Whilst preserving the warm brown tones, it applies its own modern twist, making this frame ideal for enhancing the atmosphere of traditional and the most contemporary settings. Appropriate for decorative themes including seaside and particularly country settings, it evokes the cozy, easygoing and relaxed atmosphere of retreats, cabins and vacations. Its muted tones will complement the colors of the picture without detracting from them. 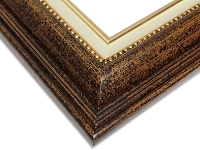 This frame will draw attention to a favorite painting, photograph, print or document by giving it a substantial but light and elegant border in weathered, natural tones. 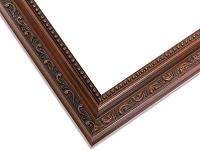 An oblique leaf design carving adds interest to the border around the central body of the frame, and lends a further subtle, rustic element to the frame's theme. Copyright LTG picture frames - Custom & Readymade Picture frames -Sale. All Rights Reserved. eCommerce Software by 3dcart.